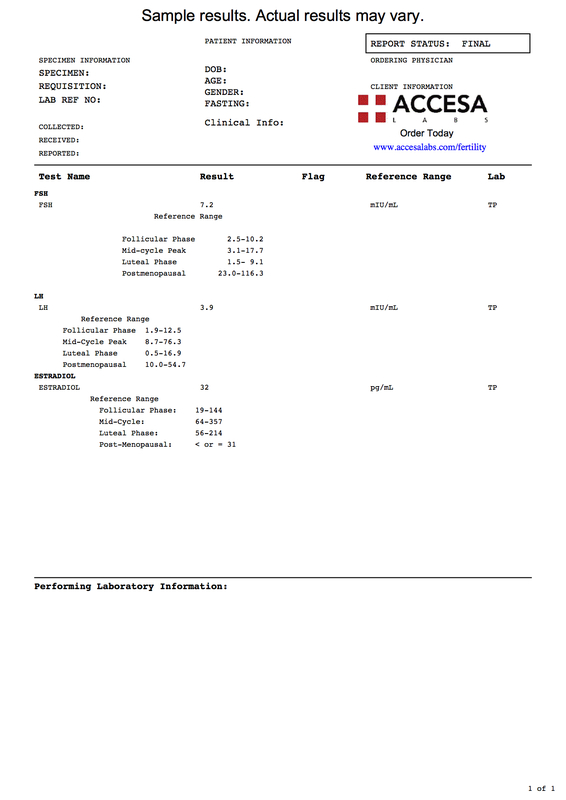 The fertility test panel checks three important fertility lab tests. What is tested in the fertility test panel? The fertility test panel measures the estradiol, FSH & LH blood levels. Why is the fertility test panel important? The fertility test blood panel is important as it may help identify causes of infertility. Do I need to prepare for this fertility test panel? Some specialists will say that the fertility test panel is best performed on day 3 of your period. This Fertility Test Panel is a blood test. The fertility test panel includes the estradiol test, FSH test, and LH test. If you are looking for more extensive testing, please see the advanced fertility panel or the comprehensive fertility test panel. To get the fertility test panel near you, simply order online and get your fertility test panel drawn at the local lab. Fertility Test Panel at Guaranteed Prices.